The former San Francisco 49ers star spoke to groups of inmates during two 45 minute sessions at the jail’s George Motchan Detention Center Tuesday morning where he pontificated on social justice issues and talked about his decision to kneel during the national anthem, sparking nationwide outrage. The morning started off with Kaepernick attending breakfast in the warden’s office before heading over to the “Peace Center” where he conducted two 45 minutes sessions with prisoners clad in gray jumpsuits. The first group included 14 inmates including six adults and eight adolescents. A volunteer at the jail introduced Kapernick, who gave a 10 minute talk before fielding questions and signing autographs. “They were basic questions, like what’s it like to play in the NFL,” said the source. In the second session, which consisted of four adults and 10 adolescents, Kaepernick was more direct on his feelings about police brutality, the source said. 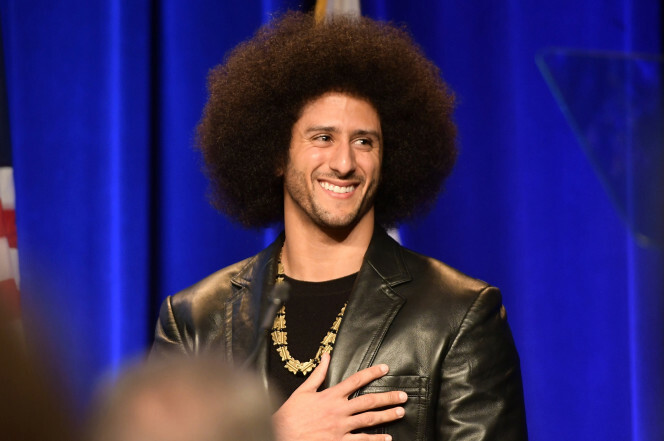 The source described the atmosphere in the room as calm and added that Kaepernick did not say anything derogatory about the police or corrections officers. “He was telling them how they could do better in life, that they’ve made mistakes, that this wasn’t the end for them, that they could go on to do good things,” he said. The move drew the ire of the corrections union officials, who said the cop hating athlete’s visit will only serve to endanger their members by emboldening criminals who see themselves as victims of a corrupt criminal justice system. Rikers Island has seen several instances of violence perpetrated against guards at the hands of inmates in recent years. In addition to speaking with inmates, Kaepernick also visited with uniform and non-uniform Rikers employees, Thorne said. “This will only encourage inmates to continue to attack Correction Officers at a time when we need more protection,” said Elias Husamudeen, president of the Correction Officers Benevolent Association. Husamudeen pointed out that Kaepernick once wore socks depicting cops as pigs while playing in a 2016 NFL game. Husamudeen laid blame for the ill-conceived move squarely at the feet of the mayor. “Once again, correction officers find themselves caught in Mayor de Blasio’s political con-game,” Husamudeen said.